In order to proceed with the theme integration click the ‘Remove the Shortcode and Start Visual Wizard button’. Theme integration wizard is a smooth way to integrate your theme with eCommerce Product Catalog in case it doesn’t work correctly with the shortcode integration. Catalog Container Padding – sometimes this will be more handy than container width option, especially when you enable the sidebar. If sidebar is enabled it will be applied also to the sidebar container. Disable Product Name – some themes show the product name twice. Check this checkbox to show it only once. You can reset the integration settings and restart the wizard at any time. Click the blue Restart Integration Wizard button to do it. What if the theme integration wizard doesn’t work with my theme? There are some themes that will not work nicely with automatic integration. Especially those with unusual markup. In such case try to use [show_product_catalog] shortcode on your main catalog page. If this still doesn’t help it will be necessary to do manual theme integration. 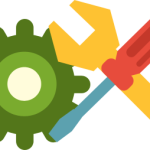 You can do it yourself with theme integration guide or ask eCommerce Product Catalog developers to do it for you (the service is free of charge once you have a license for any extension).